Very good news comes from RIM, the price of Playbook tablet the price was reduced to $299 for every model with 16GB, 32GB or 64GB internal storage. Last month, RIM took a $485-million loss on unsold PlayBook inventory. 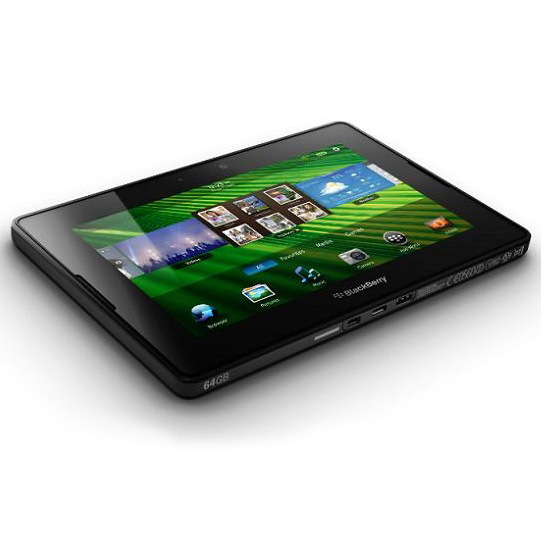 The PlayBook also has yet to entice wireless carriers, as none has offered a 3G or 4G version of the BlackBerry tablet as RIM had planned. The dramatic price cut follows what was a difficult 2011 for RIM with multiple product delays, layoffs, service outages, shrinking market share, disappointing earnings results, sliding stock prices and takeover rumors.